IAG's 18-Dec-2014 announcement that it had offered to buy Aer Lingus four days earlier was a surprise. At no time since the Irish airline's 2006 IPO had anyone other than Ryanair shown interest in acquiring Aer Lingus. Moreover, with only 1% of seats to/from Europe controlled by Aer Lingus, this deal would make little difference to market concentration in the region, where consolidation has lagged North America. However, Aer Lingus has two key attractions to IAG and its CEO Willie Walsh, an ex-CEO of Aer Lingus: an important holding of slots at London Heathrow, the main hub of IAG's British Airways, and a high growth strategy on the North Atlantic, which is BA's key long-haul market. Probably to the relief of both companies' advisors as the holiday season approached, Aer Lingus rejected the offer on the grounds that it fundamentally undervalues its business. Nevertheless, a convergence of factors makes it likely that IAG will return with another offer. Mr Walsh is an old acquaintance who does not wish to be forgot. Aer Lingus' North American network accounted for only 13% of its passenger numbers in 9M2014, but generated around 40% of its ASKs and passenger fare revenues. This part of its network, more than its sizeable short-haul operation, is of interest to IAG. IAG's UK subsidiary British Airways has 91 destinations in Europe, compared with 50 for Aer Lingus. Aer Lingus has six destinations in North America, all of which are also served by British Airways, which has a total of 26 North American destinations. Iberia has three destinations across the North Atlantic, including two served by Aer Lingus (Chicago and New York). Aer Lingus' passenger numbers on its long-haul network, which consists entirely of North America, fell by 29% from 2008 to 2011 as it cut back its capacity during the global financial crisis. However, numbers grew by 9% in 2012, 12% in 2013 and 19% in 9M2014. Growth in 2014 was driven by new routes to San Francisco and Toronto and increased frequencies on existing routes. Aer Lingus will launch a service to Washington Dulles Airport in May-2015 and plans another year of double digit capacity growth on the Atlantic in 2015. On their New York services, for example, BA has around 17,000 weekly seats in Dec-2014, rising to 22,000 in summer 2015 (including Newark), while Aer Lingus' capacity varies from around 3,000 to 4,000 seats. Aer Lingus' Dublin hub has two assets that help to increase demand for its North Atlantic network. The first is its geographical location at Europe's western edge on the way to North America from most of Europe. The second is US customs pre-clearance, which is faster than in most major US gateway cities and which then allows passengers to exit the terminal building on arrival in the US with no further immigration formalities. Aer Lingus has further improved its positioning towards travellers from regional cities in the UK with no (or few) direct US connections through developing its Aer Lingus Regional network, operated by Stobart Air. Aer Lingus has 23 daily slot pairs in the summer at London Heathrow, which it uses to operate to three destinations in the Republic of Ireland and one in Northern Ireland. It provides Ireland with important connectivity via Heathrow into the long-haul networks of other airlines that are based there. According to OAG data for the start of the summer 2015 schedule (week of 6-Apr-2015), Aer Lingus operates 12 daily frequencies between London Heathrow and Dublin, three times daily to Shannon and Belfast, four times daily to Cork. According to Airport Coordination Limited, Aer Lingus' share of the total slots allocated at Heathrow was 3.5% at the start of the summer 2014 season and 3.1% at the start of the winter 2014/2015 season. BA's share in both seasons is just over 51% and has grown from 36% at the start of summer 2001. According to OAG, Aer Lingus is Heathrow's number three carrier by frequencies, behind second ranked Virgin Atlantic. Incremental efficiency improvements have grown Heathrow's overall capacity very slightly, but this rate of growth has flattened out. BA has managed to grow its own air transport movements at a faster rate only through slot trading transactions. However, these purchases have only a relatively small impact on BA's total slot holding at Heathrow. It received a much more significant boost in 2013 with the acquisition by IAG of bmi. New ATM capacity at Heathrow is now very hard to generate within the existing infrastructure and meaningful slot trades are rare. Moreover, even if a decision is made by the UK Airports Commission in favour of a new runway at Heathrow and this decision is approved by politicians (something that IAG CEO Willie Walsh has said he does not expect to happen), it will be several years before this is built. Against this backdrop, the acquisition of Aer Lingus would provide the only realistic way for BA to achieve a further step change increase in its slot portfolio. Not only would this add numerically to BA's slots, but also Aer Lingus' even spread of slots through the day would increase its options regarding their use. IAG is the leading airline group by seats on the North Atlantic, with a seat market share of 14% between Europe and North America at the start of the summer 2015 schedule (week of 6-Apr-2015, according to data from OAG). Delta is number two, with 12% and the other Big Three US and European groups make up the next four places. Aer Lingus is ranked in 10th place on the North Atlantic by seats, with a share of only 2%. At first sight, Aer Lingus would not make much difference to IAG's position in this market, but it is revealing to dig a little deeper into this position. There are two additional factors to consider. The first is the immunised joint ventures that operate within each of the branded global alliances on the North Atlantic. Rearranging the above seat share data for the week of 6-Apr-2015 along these lines shows that the "Atlantic Plus Plus JV" within the Star Alliance (United-Air Canada-Lufthansa) is fractionally ahead of the AA-BA-Iberia-Finnair JV within oneworld, although both have a 25% share of seats, rounded to the nearest ppt, and the JV within SkyTeam is very close behind on 24%. The addition of Aer Lingus to the oneworld JV (assuming regulatory approval) would give it the number one share, with 27%, opening up a small gap between it and its rivals. The second factor is Virgin Atlantic and its relationship with its 49% shareholder Delta. The two operate under joint venture arrangements on routes between the UK and the US. Although not technically a single group, the inclusion of Virgin's seats between Europe and North America with those of Delta gives the Delta-Virgin group a clear lead over IAG in the ranking of airline groups, with a market share of 19%. Moreover, if Virgin Atlantic were to join SkyTeam's joint venture, this would then become the leading JV with a 30% share. To date, Virgin has shown little interest in joining SkyTeam, but IAG must consider the possibility. More immediately, the Delta-Virgin Atlantic JV has altered the competitive dynamic on BA's core North Atlantic route, namely London-New York. BA has a seat share on the city pair of 38%, giving it a clear lead over second ranked Virgin's 24%, but the Delta-Virgin JV has a combined share of 35%. Of course, BA is in a JV with American and the combined BA-AA share is 49%, still clearly out in front of the pack, but it no longer dominates to the extent that it did before the Delta-Virgin collaboration. One further development in the London-New York market will also be visible to IAG in its peripheral vision: the entry of Norwegian Air Shuttle. Although its seat share on the city pair is only 2%, it highlights the constantly changing competitive landscape, in which BA cannot just sit still. BA's London City to New York service via Shannon has demonstrated that a transatlantic route with a stop in Ireland can work, albeit in a niche market, and this opens up possibilities for how Aer Lingus' New York operations could fit in with BA's. Consideration could be given to using some of Aer Lingus' Heathrow slots for direct long-haul flights, but some could be retained to feed its Dublin services to North America. Details of IAG's offer for Aer Lingus have not been made public, but, according to some reports, it was made at EUR2.20 per share (Financial Times, 18-Dec-2014 and Herald.ie, 22-Dec-2014), a premium of 20% to the price at which the shares had been trading before the approach, less than the kind of mark-up typically necessary to ensure success in such a bid. Once the news of the offer broke, the shares jumped significantly. In spite of Aer Lingus' rejection of the offer, its shares have risen above the speculated price offered by IAG. By 24-Dec-2014, they had touched EUR2.29, higher than at any time since 2008. Interestingly, IAG's share price also increased. This demonstrates that institutional shareholders expect a further bid at a higher price than IAG's original offer. However, it may not be the institutional shareholders that determine Aer Lingus' fate, should another offer be forthcoming. Ryanair owns almost 30% and the Irish government has a stake of just over 25% in Aer Lingus. These two shareholders will be key. After several years of failed attempts by Ryanair to buy its Irish rival, Europe's largest LCC has been directed by the UK Competition Commission to sell its 30% stake down to 5%. Although Ryanair is appealing this decision, it seems likely that it will be a willing seller of its stake, although this may depend on the price offered. Ryanair's holding was acquired at an average of EUR2.40 per share and IAG may need to increase its offer price beyond this level to satisfy Ryanair. The second largest shareholder in Aer Lingus is the Irish government, with just over 25%. The airline's IPO price in 2006 was EUR2.20 per share, a threshold that the government may wish to see exceeded in any revised offer. Moreover, the Irish government will want assurances that Aer Lingus' Heathrow slots will be retained, which is highly likely given that this is one of its prime attractions to IAG. Under its articles of association, Aer Lingus may not dispose of slots at Heathrow without the approval of 75% of shareholder votes at an EGM. This gives the Irish government an effective veto over such a disposal. Ireland may also seek further assurances that a significant proportion of these slots continue to be used to provide connectivity to Ireland. It is inconceivable that it would allow Aer Lingus to be sold if IAG were to reallocate a larger number of its Heathrow slots to BA's long-haul network. The Irish government has said that it is open to the sale of its stake “but only when market conditions are favourable and on terms at a price that are acceptable to the Government” (The Daily Telegraph, 24-Dec-2014). After vehemently opposing Ryanair's attempts to buy Aer Lingus, the government may find a Willie Walsh-led IAG more palatable. Etihad Airways has a stake of just over 4% in Aer Lingus, but has not shown any signs that it is interested in increasing this to the sort of participation that it has in other European airlines, such as airberlin (29%) or Alitalia (49%, subject to completion). As with any merger involving significant market shares in specific markets, competition authorities will likely investigate any proposed combination of Aer Lingus with IAG. In particular, the two would have a monopoly on London Heathrow-Dublin. According to OAG data for the week of 6-Apr-2015, Aer Lingus has 65% of seats on London Heathrow to Dublin and BA has 35%. On the wider London-Dublin city pair, Aer Lingus has a share of 36%, Ryanair 37%, BA 17%, CityJet 7%, Flybe 3%. Second-guessing the regulators is always dangerous, but it seems likely that they would impose some remedies, possibly involving slot disposal and/or facilitating new entrants, before approving any deal. In some ways, it is surprising that IAG has not shown any interest in buying Aer Lingus before now. Indeed, Ryanair's three attempts to acquire its neighbour since 2006 did not flush out any interest from another airline. Aer Lingus' shares have spent much of the intervening period trading at less than half of their current price, even falling below EUR0.60 in 2009 and again in 2011. The problem was that most other airlines, IAG included, were too busy working on their own restructuring to study Aer Lingus for much of this period. IAG's timing is more understandable when viewed in the context of its own improved financial performance, as well as that of Aer Lingus. IAG is now the most profitable European legacy airline group. Although it will have to pay more now to acquire Aer Lingus than at any time over the past eight years, the value of the shares at, say EUR2.40 would be EUR1.2 billion, only a 10th of IAG's market capitalisation. What's more, Aer Lingus had net cash of EUR572 million at the end of Sep-2014. IAG's share price also increased when the news of its interest in Aer Lingus emerged, suggesting that investors see value creation potential through this combination, further raising the likelihood that IAG will make another offer. 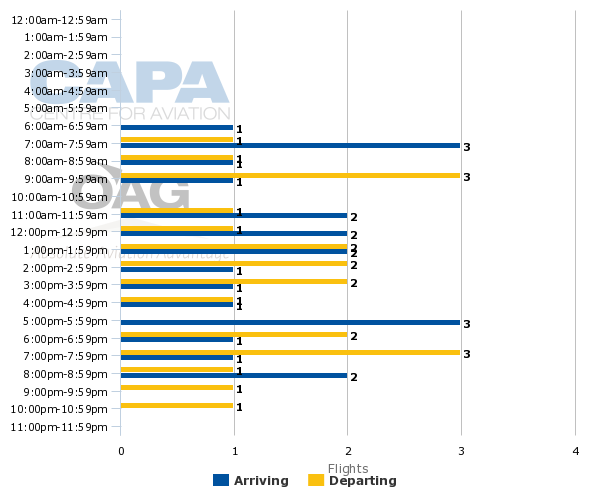 Other factors also help to explain IAG's timing. Aer Lingus has re-established itself on the North Atlantic and given credibility to its continued long-haul growth plans at a time when the competitive landscape in this market has become a little more challenging for IAG's British Airways. Aer Lingus has also made progress with labour relations by recently resolving a long-standing dispute over pension funding. Furthermore, it is now less likely that Ryanair will seek to renew its previous interest in Aer Lingus. Although it might make for a miserably busy holiday season for IAG's strategy department and its advisors, the New Year could well be a happy one for Aer Lingus - and IAG's - shareholders.